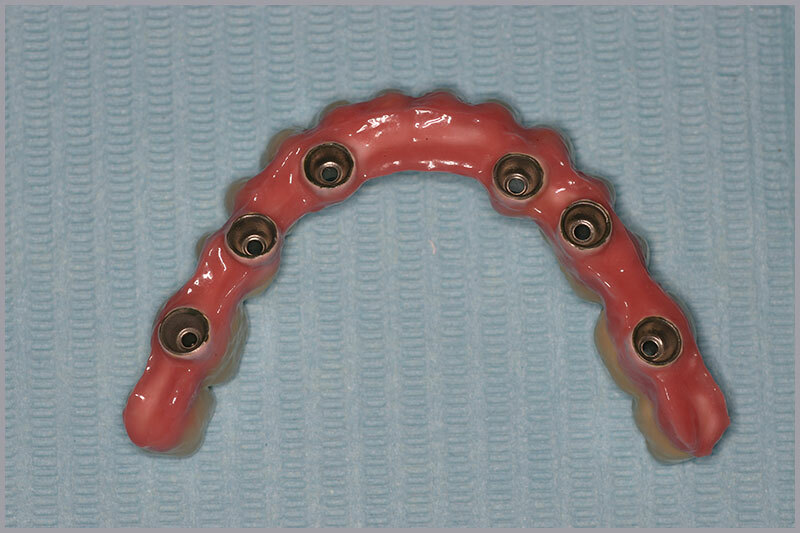 Implants are metal root replicas made of titanium. Titanium metal is fully biocompatible and used in all aspects of medicine (orthopedics, cardiology, etc. ).Dentistry was revolutionized by the discovery of titanium’s ability to be incorporated biologically and functionally into the bone of the jaw. 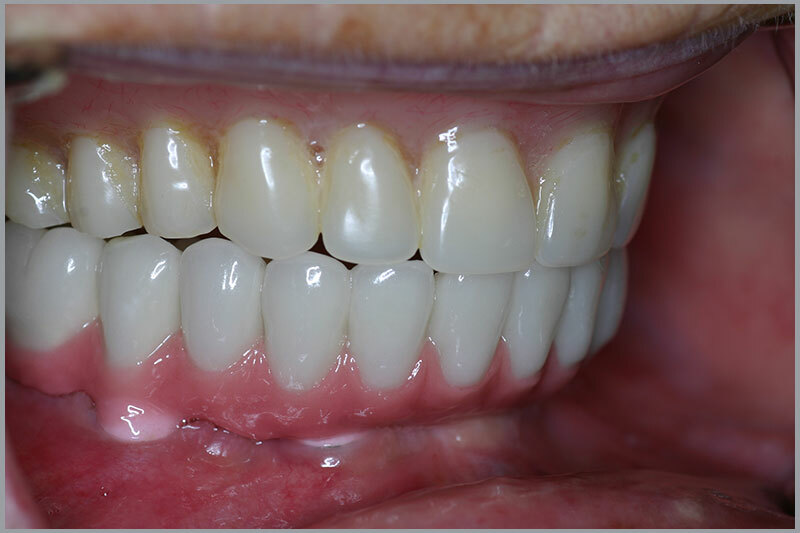 The replacement of missing teeth with implants ensure that no adjacent teeth need to be prepared for a bridge support, they also make the use of a removable denture unnecessary, and finally stop the jaws being absorbed, which can lead to an unattractive, aged appearance. Is it possible to have an implant at the same time as an extraction? 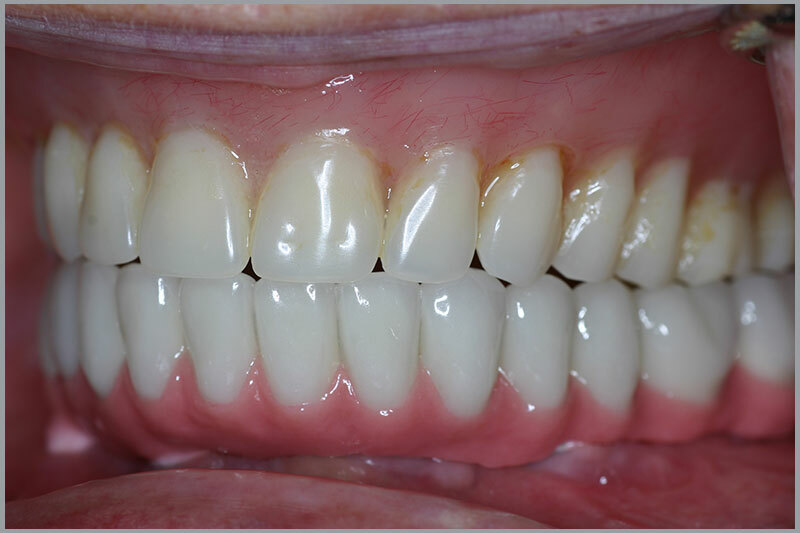 In many cases, where there is an absence of inflammation, it is possible to immediately place an implant simultaneously with the extraction of the tooth. Then, yes, we can place on the implants prosthetic transitional work so that the patient can satisfy aesthetic and functional demands in terms of chewing. Usually the transitional replacement is delivered within hours or days, so the patient can continue his daily activities. For immediate loading to be successful, the team (surgeon, restorative dentist and dental laboratory) should have extensive experience and knowledge. Our team, for a number of years now, has been applying immediate loading with the same success rate as delayed loading (2-3 months or more). 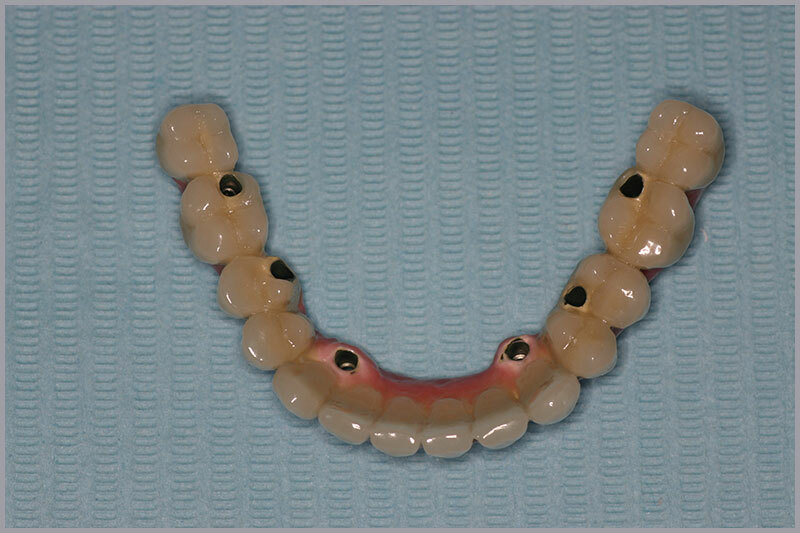 When the bone does not have ideal dimensions can implants be placed? 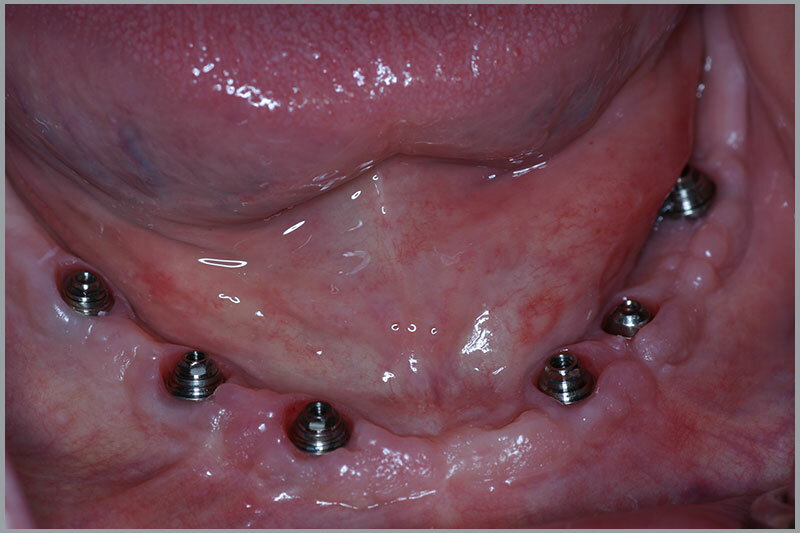 When there is insufficient bone volume, then there is a need to apply augmented restorative techniques (sinus lift, GBR, Block Graft) either before implant placement or 4 months or more later, depending on the case. When the bone deficit is negligible, regeneration techniques can be applied, even at the time of implant placement. Our team has the necessary knowledge and experience these techniques require. 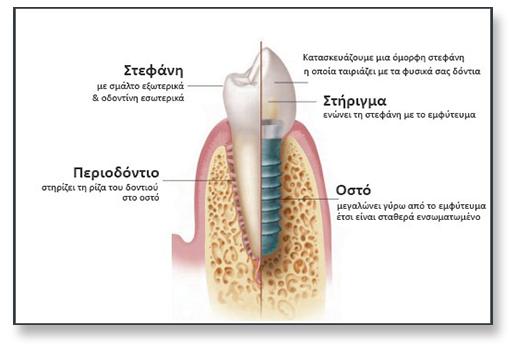 International research show that implant treatment is very safe with a success rate of 96% – 99%. In twenty years of scientific studies, the survival rate is about 90%, rates perhaps even better than other dental procedures. The correct prosthetic design, analysis of study casts, evaluation of radiological imaging combined with the top surgical training of our clinic’s specialist oral surgeon, our team ensures the best possible result. Daily oral hygiene by brushing and using an interdental brush twice a day along with check- ups and dental cleaning 2-3 times a year, will give longevity and stability to implant restorations we have provided for you. 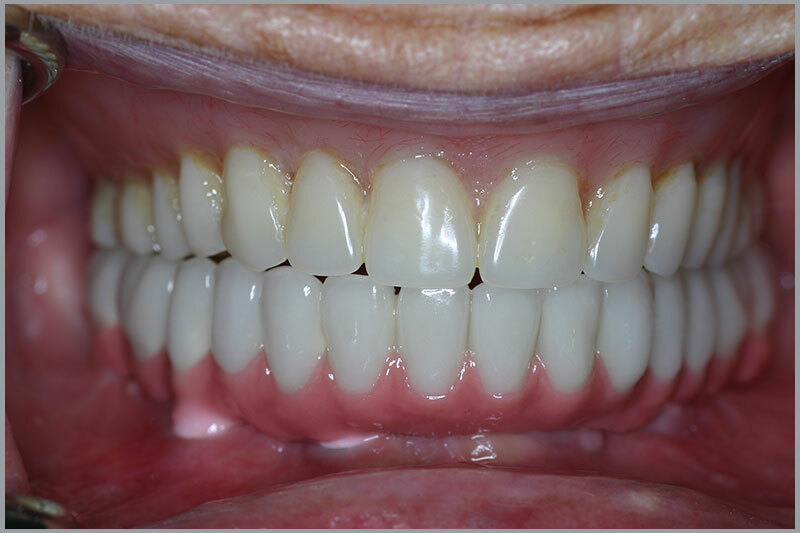 No bone loss, creating a beautiful appearance. No damage to healthy teeth. Improved ability to eat a greater variety of foods. Easy care-just like natural teeth. Treatment with a long-term result.